You may think you can get by OK in a busy week on just a few hours of sleep and big cups of coffee, but a new report sheds light on just how dangerous sleep deprivation can be. According to the research from the AAA Foundation for Traffic Safety, drivers who get just one to two hours less than the recommended seven hours of sleep in a 24-hour period nearly double their risk for a car crash, according to new research from the AAA. Furthermore, the report reveals that drivers who miss 2-3 hours of sleep in a 24-hour period more than quadrupled their risk of a crash — the same crash risk the National Highway Traffic Safety Administration associates with drunk driving. 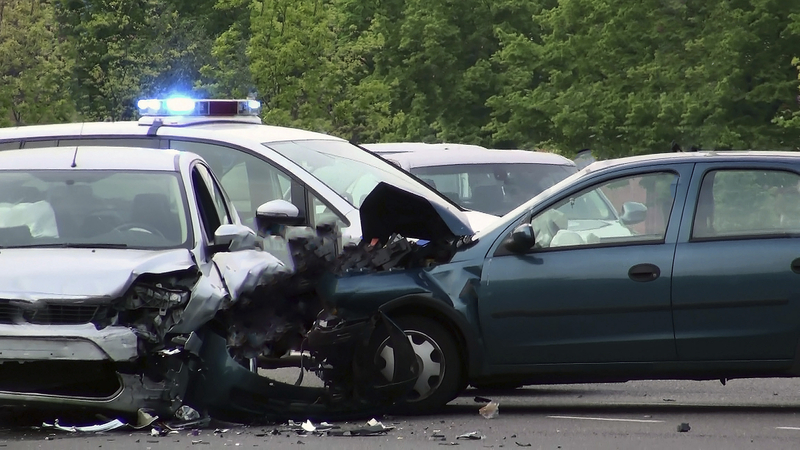 The report is based on the analysis of a representative sample from the NHTSA’s National Motor Vehicle Crash Causation Survey of 7,234 drivers involved in 4,571 crashes. Each crash involved at least one vehicle that was towed from the scene and resulted in emergency medical services being dispatched to the scene. Investigators looked at a number of factors that could have contributed to the crash, including errors committed by drivers, vehicle mechanical failures, and environmental conditions. They also asked the drivers how many hours they had slept in the 24 hours before the crash, their usual daily amount of sleep, and whether or not they had changed their sleep schedule recently. The analysis showed that the crash risk for sleep-deprived drivers increased steadily when compared to drivers who slept the recommended seven hours a night or more. While the overwhelming majority of drivers surveyed say they believed driving while drowsy is completely unacceptable behavior, nearly one in three admitted to doing so at least once in the past month. Are there warning signs you’re too drowsy to drive safely? Having trouble keeping your eyes open, drifting from lanes or not remembering the last few miles driven are all reasons for concern. Yet, alarmingly, more than half of drivers involved in fatigue-related crashes experienced no symptoms before falling asleep behind the wheel. Dr. Erich Voigt, chief of the division of general/sleep otolaryngology at NYU Langone, advises that drivers should not rely on their bodies to provide warning signs that they are too tired to drive. Prioritizing sleep – and getting the National Sleep Foundation’s recommended seven to nine hours of sleep per night – is essential for safe driving. He also recommends exercising early in the day and avoiding heavy meals and alcohol or caffeine anywhere near bedtime. Finally, those suffering from obstructive sleep apnea should see a doctor and get treated. Travel at times when you’d normally be awake. Travel with an alert passenger and take turns driving. Avoid medications that can cause drowsiness or other impairment.